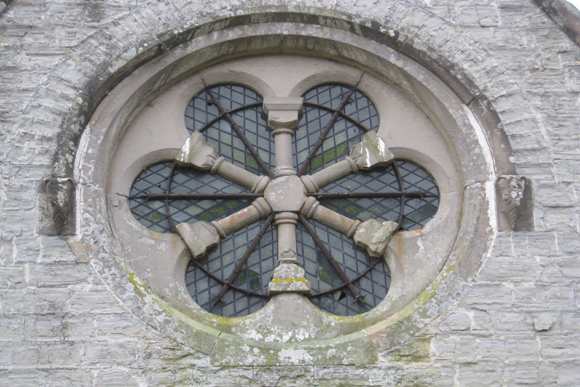 The first documentary mention of Spernall has been dated to the 1190s and much of the fabric – including the partly retooled, partly reset, chancel arch, and some fragments of glass – is by general consensus datable to the twelfth century. In 2010 we undertook repairs to the chancel where there had been some minor cracking. How did the building pass into the care of the Friends? St Leonards was declared redundant in 1972, when the Diocese of Coventry applied for planning permission to convert the building into a house but was refused. In 1976 they applied to demolish the building completely, and we in the Friends and the Ancient Monuments Society (AMS) were appalled to learn of the threat and we went beyond lodging a formal objection to destruction to express an interest in taking on the challenge of ownership. Normally the building would have gone to the Friends of Friendless Churches but at that time the Friends were facing too many financial challenges and in light of an unexpected financial leeway at the AMS it was agreed that St Leonard’s would pass to the AMS, the only church that we have ever owned. (All the costs of insurance, maintenance and repair are now met by the Friends as the latter’s finances have immeasurably improved in the interim). Formal transfer took place on 29th August 1980. As a Grade II* listed building we could have applied for grant aid but as the buildings condition was more sorry than serious we raised the £4,000 necessary for immediate repairs from our own resources. This work chiefly involved the reconstruction of the collapsed south eastern section of the nave shell, the reroofing of the chancel and the suppression of the ivy. In 2004 the building underwent a further programme of repairs supervised by William Hawkes ARIBA. The total cost was something like £25,000 which financed careful reconstruction of the porch and bellcote using as much as possible of the existing stone and the reroofing of the north slope of the nave. The cost of this was borne by the Friends of Friendless Churches. We shall be repairing the chancel of 1844, in 2010. For almost thirty years the church has been used by the highly talented artist, Nicholas Jones as his studio. We were delighted when Nicholas approached us and fronted an application for planning permission to convert the church to the new use. As the pews had already been moved to the nearby church of Morton Bagot and all other fittings were compatible with the introduction of the new use we felt his presence on the site would help to deter the increasing risk of burglary and vandalism. He moved in in 1983 and has been there ever since producing a very varied corpus of art. This article is available to purchase in the Ancient Monuments Society Transactions.